The Alabama State Council on the Arts (ASCA) awarded ninety-nine grants totaling $342,695 at its Council meeting in Montgomery on December 6, 2012. This round of grants will support arts in literature, education, folk art, community, performing, and visual arts programs January 1– September 30, 2014. Also included in this round of awards are folklife apprenticeship grants. Recipients of literature grants include Alabama Southern Community College for the Alabama Writers Symposium, Auburn University Montgomery for Four Mondays of Poetry, the Birmingham Public Library Foundation for Bards & Brews, the Huntsville Literary Association for its Young Writers Contest, and the University of Alabama English Department for the Slash Pine Writers Festival. The Council makes grants to non-profit organizations, schools, universities, cities, and a wide range of community groups. ASCA funds are matched by contributions from businesses, individuals, local government, and earned income by the grantee. Arts programs, assisted by Council grants, have a track record of enhancing community development, education, cultural tourism, and overall quality of life in virtually all regions of the state. These recent grants are in response to applications submitted under the September 1, 2013, deadline and represent the third round of grants awarded in the 2013-2014 fiscal year. The fifteen-member Council is chaired by James Harrison III of Tuscaloosa. Board members are appointed for six-year terms by the governor to help promote the arts statewide. A primary responsibility of the Council is to make decisions on grants awarded to support art programs and arts education throughout the state. Board members are selected from all regions of the state in order to strive for a geographic spread representing all areas of the state. The next deadline for the submission of grant applications is March 1, 2014, for Fellowships and Art & Cultural Facilities, covering activities taking place between October 1, 2014 and September 30, 2015. 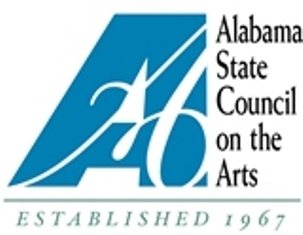 The Alabama State Council on the Arts is the official state arts agency of Alabama. The staff of the Council, directed by Al Head, administers the grants programs and provides technical assistance in arts planning and programming. The Council receives its support through an annual appropriation from the Alabama Legislature and funding from the National Endowment for the Arts, a federal agency. For more information about a particular grant, contact Barbara Reed, Public Information Officer, at 334-242-4076, ext. 223.